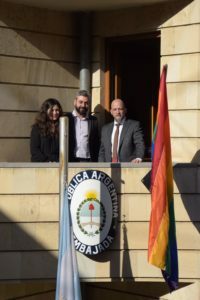 On 17th of May, the Embassy of Argentina in Armenia hosted PINK Armenia’s President Nvard Margaryan and Executive Director Mamikon Hovsepyan on the occasion of International Day against Homophobia, Transphobia and Biphobia. 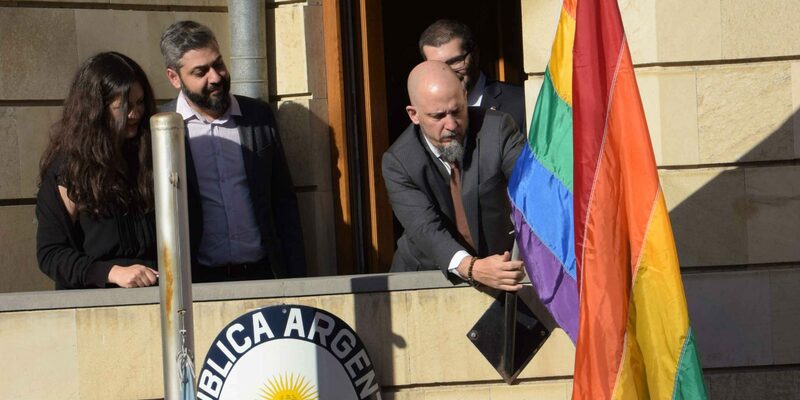 They took part in the raising of the rainbow flag symbolizing LGBT people on the embassy building. The Embassy of Germany in Armenia also addressed the day by posting a rainbow flag image on their Facebook page and by sharing the statement of Ambassador Botschafter Matthias Kiesler. The US Embassy also joined the cause by posting the rainbow flag picture as a cover photo on Embassy’s Facebook page.